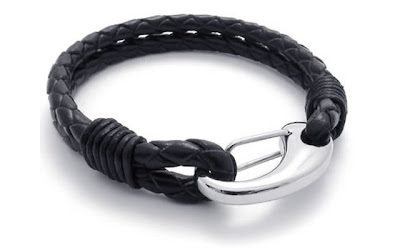 The KONOV Jewelry Braided Black Genuine Leather Mens Bracelet with Locking Stainless Steel Clasp is currently selling for just $9.99 on Amazon.com! You will be saving 80% off the listed price of $49.99 with this men's jewelry deal. Personally, I think this could be a unisex bracelet that would look great on a man or a woman. If I could wear a size 8" bracelet, I would love to add this edgy bracelet to my jewelry collection. Shipping for this item is just $4.85.